The Hall of Independence – is a must stop in any tour to Israel. In the first house in Tel Aviv own by the the first Mayor of Tel Avai Meir Dizengof which donated his house to be the first Art museum in Tel Aviv David Ben Gurion announced on May 14th 1948 4 pm the rebirth of the State of Israel. 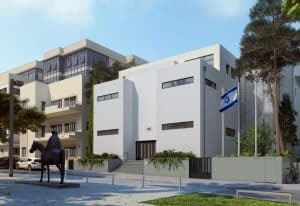 We’ll start our tour in the building where David Ben-Gurion did the famous Declaration of Israel Independence and we’ll understand why we compare him to Joshua and Theodor Herzl to Moses. We’ll learn about the owner of the building Meir Dizengoff and celebrate Tel Aviv 100 anniversary. The Hall of Independence is located at the first street in Tel Aviv – Rothschild boulevard, which is unique thanks to the many Bauhaus building next to it. Neve Zedek – we’ll walk through the first neighborhood outside Jaffa’s wall founded 1887, which was annexed to Tel Aviv. We can eat at Old Jaffa special local restaurants only minutes drive and here we’ll learn and see the 4,000 years Jaffahistory and enjoy the many tourist shops. We’ll do an observation on Tel Aviv and walk down to the – flee market. Only with special reservation 30 kms drive to Rehovot might take us 1 hour drive and we can eat something at the hi-tech industrial zone. 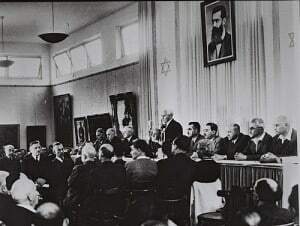 We’ll visit Chaim Weizmann house in the famous since institute on his name. Finally we’ll visit Ayalon institute and try to understand the miracle of Israel resurrection and how come Israel develop so mush compare to our neighbors.